Promised Land Retreat sits squarely in the middle - a great point to explore the region - with the coast just 35 minutes away and the top of the mountain, roughly the same. Starting at the coast - and the closest coastal destination - is our favourite: the hidden gem, Urunga. It's a sleepy coastal town but spectacularly situated where the Kalang and Bellinger rivers meet, with a mountain backdrop. Take a walk down the boardwalk and see bird-life, kangaroos, mangroves, crabs. Often there are mantarays, fish in abundance and the occasional dolphin and whale off the coast at the end of the boardwalk. Especially beautiful at dawn and dusk, its a great romantic destination. 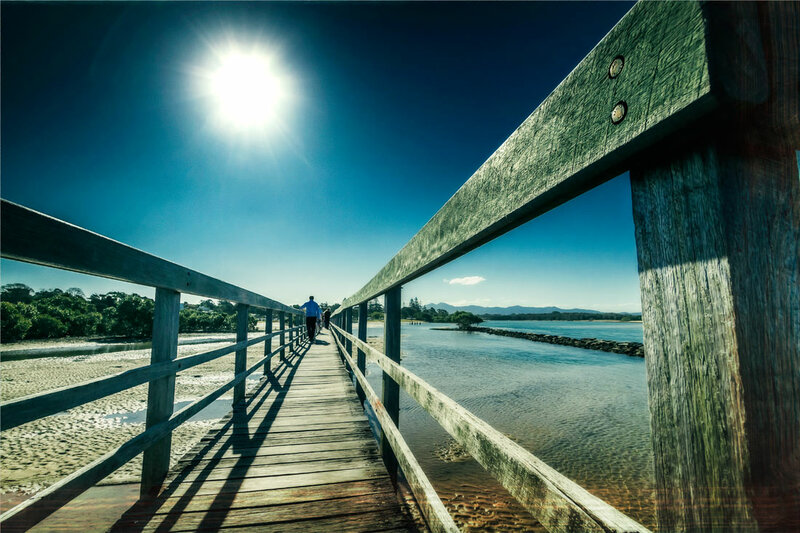 On windy days the lagoon in Urunga is a perfect spot to take a dip, and you'll find pub grub at the Ocean View Hotel, fab fish and chips at The Beach Shack and more of a dining experience (and take away pizzas) at the very popular Embers Restaurant. Just down the road is a great family beach - Hungry Head. It's patrolled on the weekends and in the holidays. Drive a little further and find Wenonah (or "Third" as the locals call it) Headland - usually one side of the headland with good surf, and one side good for littler kids. Head North up the coast and wander into the beach-side hamlet at Mylestom. Here you'll find a netted lido in the river and the ocean 200 metres away. There is food at the Mylestom store and at North Beach Bowling club down the road. Close by are the beaches at Tuckers Rock, from where you can walk to Bundagen headland and admire the native wildlife: occasional naked hippies! Further north again brings you to Sawtell. 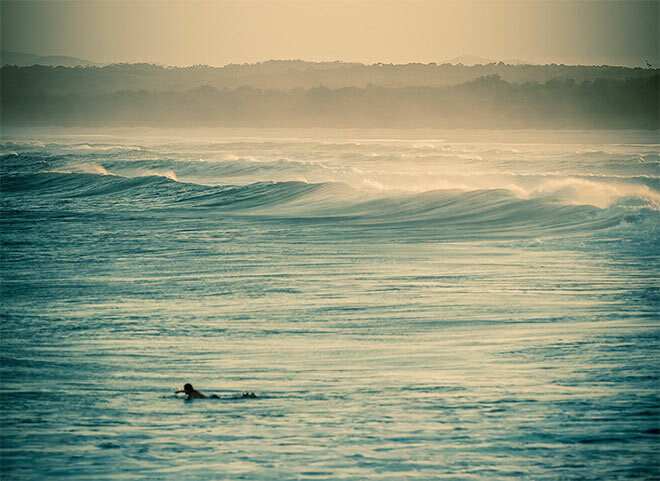 Known to have great surf beaches, but also a sea lido, and a great main beach for families. Patrolled and usually with nice surf, there’s also rock pools and plenty to explore. The town itself is more Bellingen-like than Coffs Harbour - with pleasant eateries catering to all tastes. Coffs Harbour. It doesn't have the greatest reputation but this small seaside city has some surprises in store. Not least the view above - when you see the city in the relation to those mountains you'll understand why people live here. The jetty area is great and developing all the time. Pommes will love the Beer (in pints!) and burgers at Attitude, next to the Fisherman's Coop. 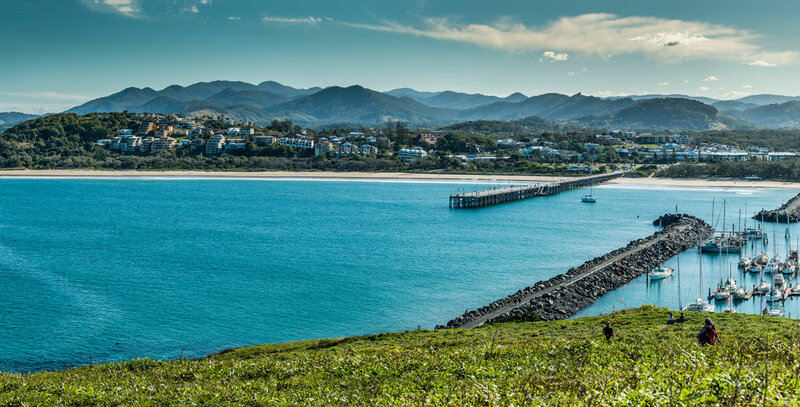 Have a stroll down the jetty and on to Mutton Bird Island - for views of Coffs, ocassionaly whales and, of course, Mutton Birds. Explore the shops and restaurants in the "Jetty Quarter" - the area before the Jetty on Harbour Drive. 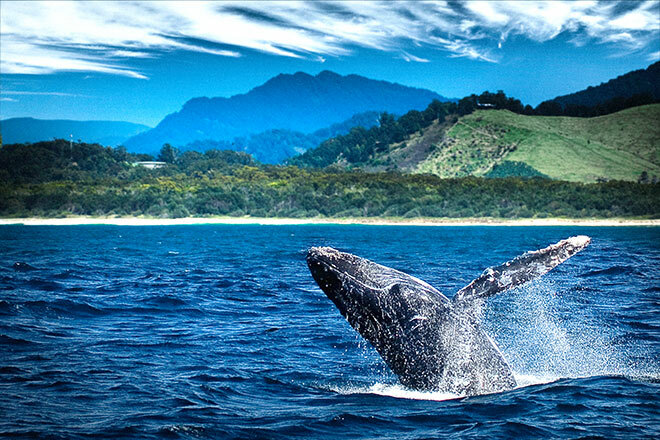 If you're here at the right time of year you have to take a boat trip to meet our regular visitors - the Humpback Whales. And at any time of year take the family to the Big Banana - with a bunch of rides and ice-skating. And Bananas. You can't go passed Coffs without mentioning Dolphin Marine Magic - a hugely popular family destination. 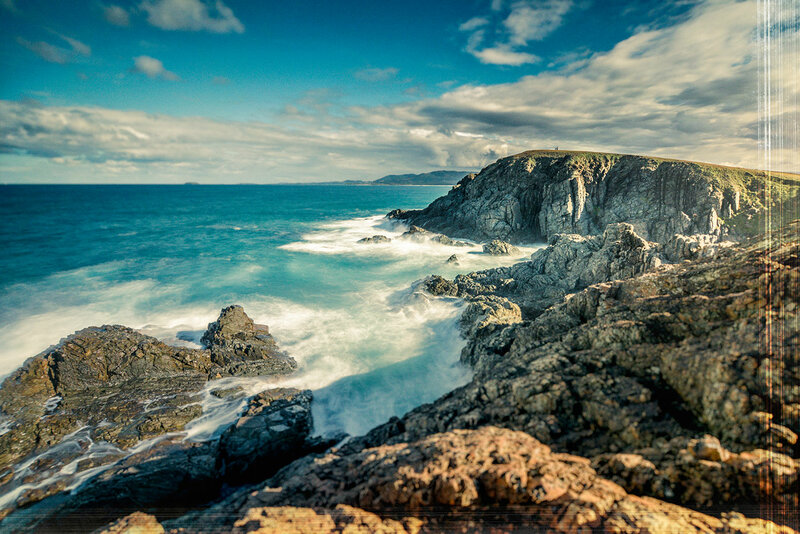 There is so much more on the Coastal Part of Coffs Coast. 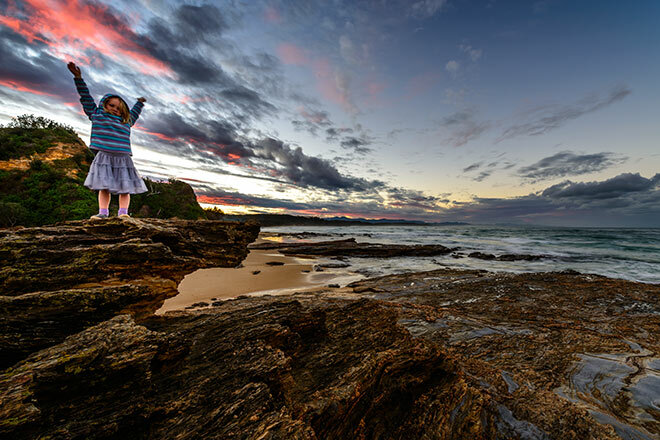 Beyond Coffs are the Gem Beaches - Saphire & Emerald to name 2 and then Woolgoolga, and South there is Valla and Nambucca - all with their own beauty and charm. We've covered the rest of the region in our pages, below. If you haven’t seen them, take a look! Give us some love, and share!